Oh hi! I'm back! I apologize for my unexpected hiatus. Life became a bit too chaotic, and I needed to unplug for a little while. I created this blog as a fun hobby and I want it to continue to be something I enjoy, so hopefully I'll be able to find a balance that allows me to post regularly without feeling too bogged down. I can't believe it's already the last day of May, but I'm so excited for June. I love June because it involves a lot of family time and it's my birthday month, which means excessive amounts of cake. Kent and I just returned from 10 days in Italy, so we plan to catch up on sleep and laziness this weekend. Not too different from most weekends, but we really need the R&R this time. At some point I plan to cut up my first watermelon of the season. Mmm, I can't wait to enjoy a slice in this glorious summer weather. Favorite indulgence: Hot Fudge Chocolate Chip Cookie Dough Ice Cream Sandwich. I know it's been a while, but I hope that you haven't forgotten about my love for cookie dough. Despite this affinity, I typically pass on cookie dough ice cream because I find that it mostly provides scant pieces of dry cookie dough. Bleh. A homemade version though is sure to deliver the quality of dough I crave. 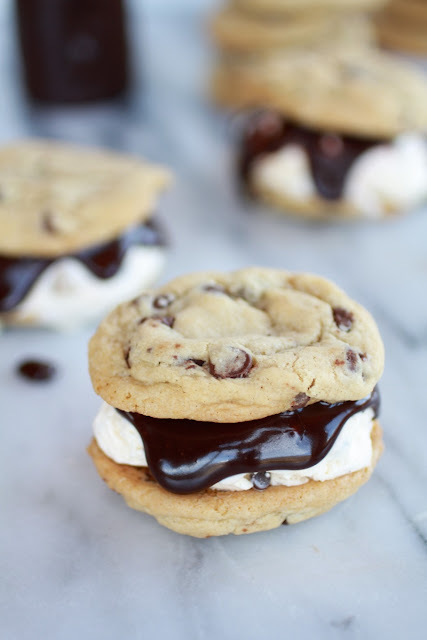 Sandwich it between two cookies and fudge and that my friends is a winning recipe. 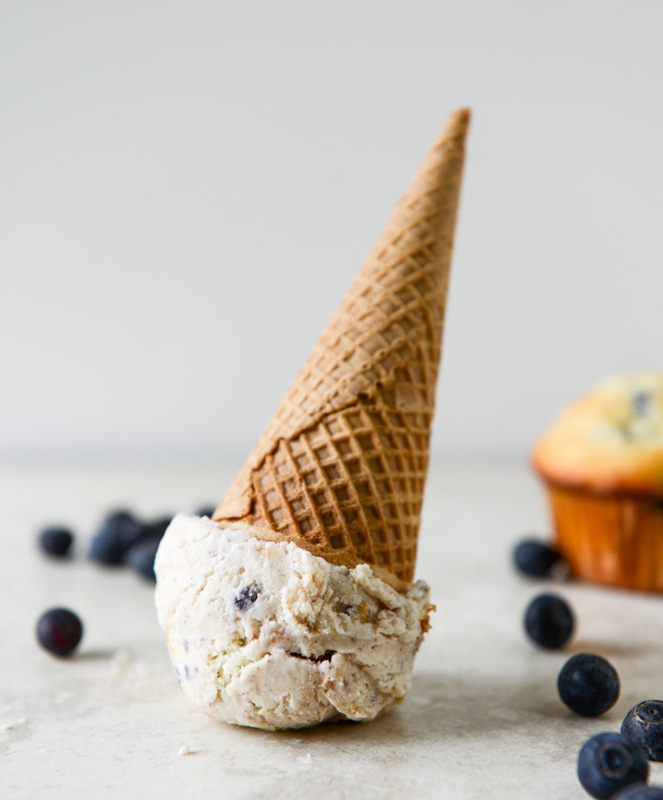 Favorite DIY: Cookies and Cream Peanut Butter. This post will be predominantly food related because I am dying to share some of the wonderful culinary finds I've stumbled upon during my hiatus. Does this not sound incredible? Pulse two sleeves of oreos together in a food processor with peanuts to create a creamy, decadent, chocolatey peanut butter. Slather that on a piece of banana bread and you're in food heaven. I suppose you could jazz up a piece of toast with it for a lighter option. Favorite look: Baseball Tee. I love the versatility of a baseball tee. It can be worn super casually or dressed up with the right accessories as seen here. Favorite bite: Mini Open Faced Veggie Bites. 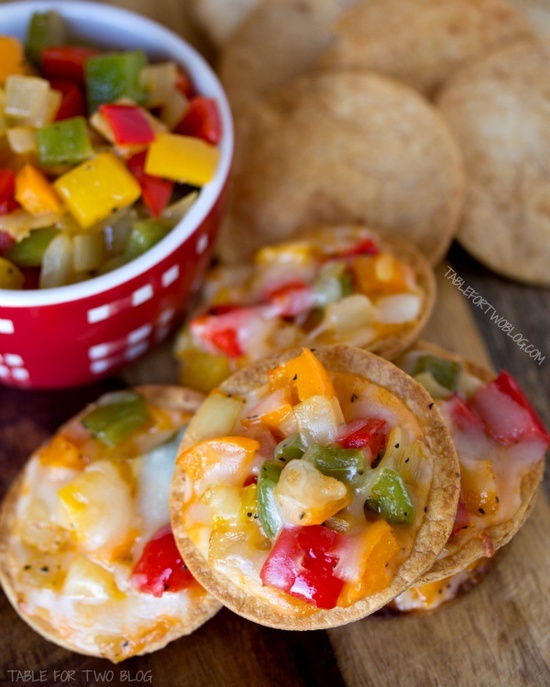 What a sweet and delicious idea for an appetizer or finger food. This recipe uses two types of cheeses and a medley of bell peppers to create a flavorful crunchy bite. 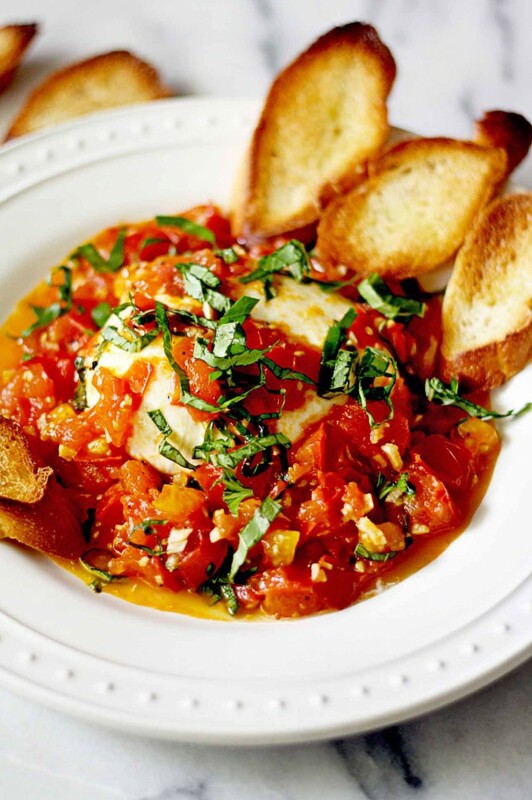 Favorite meal: Burrata with White Wine and Garlic Sauteed Tomatoes. If you've never heard of burrata, then please let me introduce you. The author of this delicious recipe describes this delicacy impeccably, "A pulled mozzerella wrapped around a blend of soft mozzarella and cream creating a luscious tantalizing cheese bomb when you break into it." Just glorious. Favorite decor: Tabletop Over Machines. This is a great idea for those who are forced to fold laundry on the couch, inevitably resulting in poorly folded clothes. 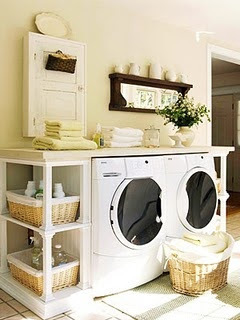 It seems unlikely that you would have such a large and open laundry room as this photo suggests, but I would be happy to have a little working station in a closet of a laundry room if it meant I could have this level of organization. Favorite fake out: Snow Cone Cupcakes. So creative. I really thought that this blogger just scooped shaved ice into a cupcake liner, but she actually frosted and sprinkled a vanilla cupcake to mirror the appearance of a snow cone. 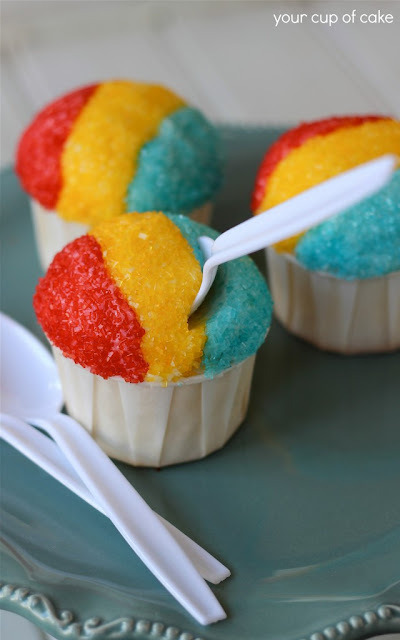 Perhaps too much work for a cupcake, but I love this idea for a summer party. Favorite video: Saved By The Bell Finale Anniversary. The series finale of Saved By the Bell Aired twenty years ago this month. Is there any show like it today? I don't think so. How sad for today's kids who can't relate to the neuroses of Jessie Spano or envy the off-the-shoulder-sweatshirt-wearing Kelly Kapowski. Most people fondly remember the infamous scene where Jessie breaks down with Zach over her caffeine pills and exclaims that she's so excited. How can you not love that scene? In case you don't remember the circumstances surrounding her need to stay alert, then this video may jog your memory (trouble uploading the video, so click on gray link). Favorite image: Lake Hillier. 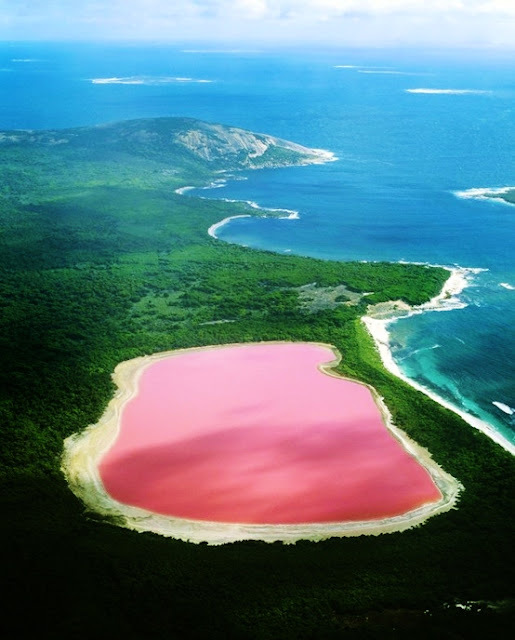 This is a pink lake in Western Australia. A pink lake! While I think this is quite awesome, I will not be embarking on a trip around the world to see it despite my husband's desire to see the land down under. Favorite remix: Chocolate Waffles with Peanut Butter Sauce. I don't vary my breakfast food nearly as much as I should. I love pancakes, casseroles, muffins, streusels, etc, but I'm a creature of habit (and convenience) and always choose oatmeal or cereal for breakfast. 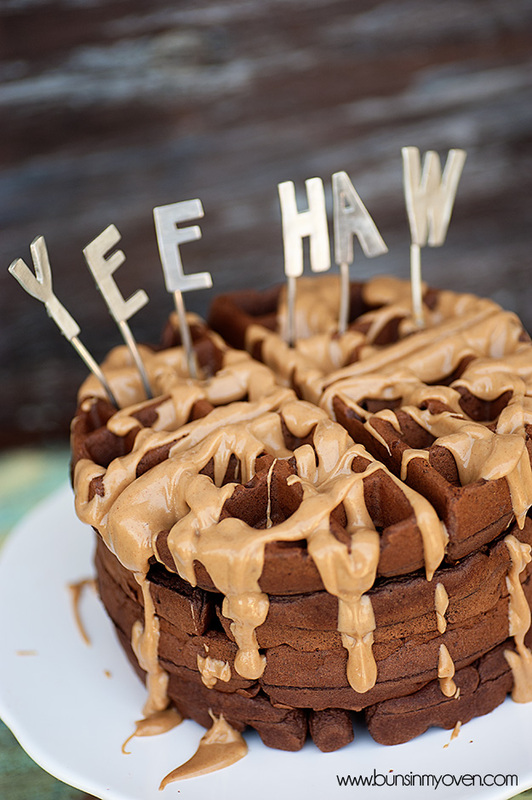 These waffles are something I can get behind for the extra effort they require, sans "yee haw" topper. Favorite funny: Dinosaur Wedding Crasher. Have you all seen this yet? 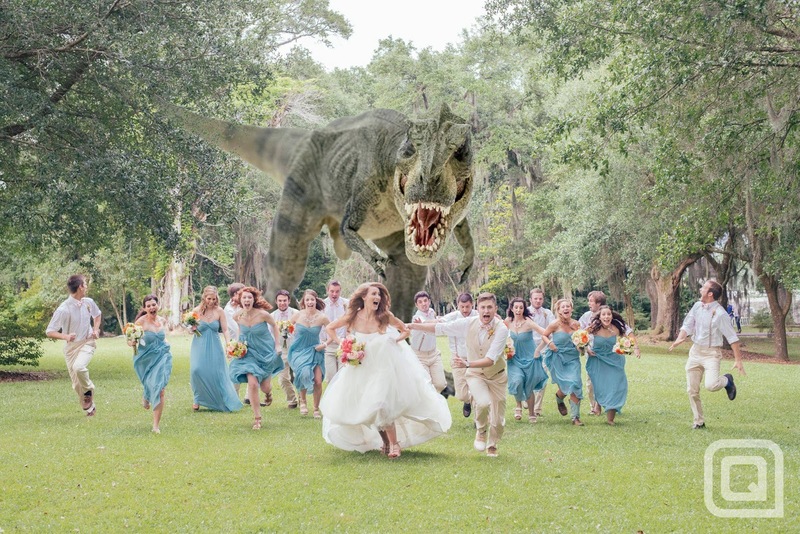 There are so any cliche and corny wedding party photos that you see time and time again. Here is a fresh fun idea that I love. I wish we had been so creative. 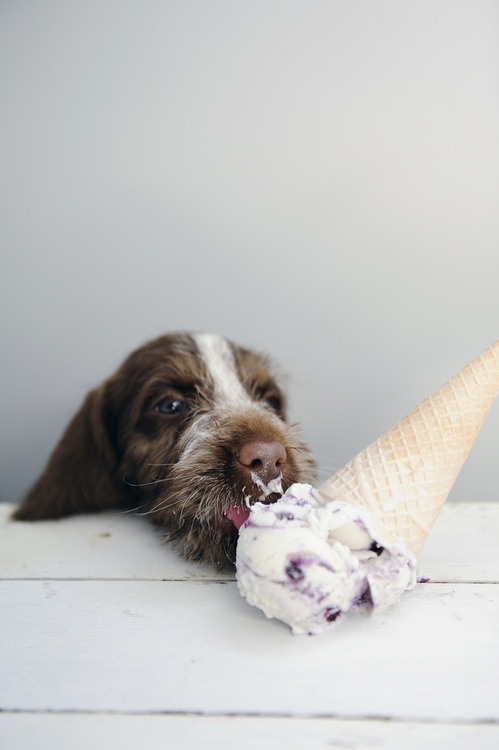 Favorite Pup: Sweet Tooth Pup. Add a dog to the above, and you make a great photo even better. A dog after my own heart. 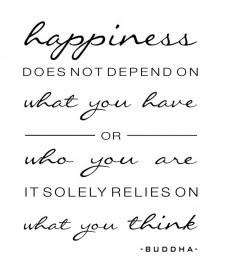 Favorite quote: What You Think. A provocative thought to leave you all with.